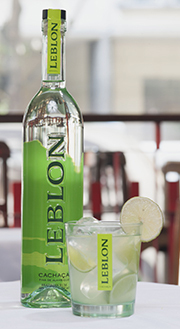 Leblon Cachaça is a premium artisanal Cachaça from the Minas Gerais region of Brazil. 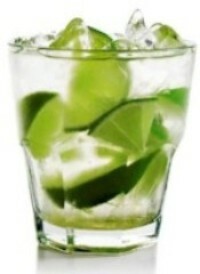 Cachaça is the key ingredient of Brazil’s national cocktail: The Caipirinha. Leblon was first introduced to the US and Brazil in September 2005 and in Europe in 2006. Leblon is available in Brazil, the United States, Canada, Europe, and a few markets in Asia. Gilles Merlet, and Carlos Oliveira, serves as master distiller. Merlet treats the distillation of Leblon as if it were a fine wine. The sugar cane is hand-harvested from nearby fields which is grown at an altitude of 1,000 meters and quickly delivered to the “Maison Leblon” distillery for pressing. The juice is fermented for 20 to 24 hours before being transferred into the Alambique copper pot stills for single-batch distillation. The distillate is then rested up to 6 months in 400 Liter Vintage XO Cognac Casks from France. The various batches are then blended together masterfully, and the final batch is gently filtered and bottled in glass. The use of Alambique copper pot stills make Leblon an artisanal product because they produce the distillate in small batches rather than the faster column still. 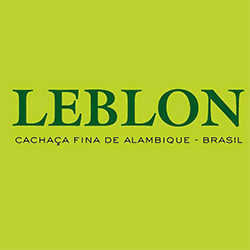 Leblon is certified by the Instituto Mineiro de Agropecuária as an artisanal Cachaça de Alambique. Leblon is dedicated to sustainability by minimizing waste, reducing energy needs, and preserving the environment. In the sugar cane fields, all leaves and discarded sugar cane tops are provided to local farmers for livestock feed. Bagaço, which is the exhausted sugar cane after pressing, is used to heat the water running through the copper coils in the alambique potstills for full self-sufficient distillation. Vinhaça, which is the residual liquid after distillation, is isolated to a pond on the distillery property, where it is allowed to breakdown naturally. It is also added as a natural fertilizer to the sugar cane field along with any excess bagaço not used for heating the pot stills. Even though cachaça is the official spirit of Brazil and the third-most consumed spirit in the world, it has not been recognized in some countries as a unique product appellation from Brazil. Cachaça sold in the United States was required to say “rum” on the front label despite Cachaça is made from fresh cane juice, not molasses like rum and predates the invention of rum by over a century (AC 1550) and has an entirely different cultural connotation. In 2013, Leblon created a movement to ‘Legalize Cachaça.’ The Legalize Cachaça campaign targeted bartenders, the trade, consumers and the press with the purpose of educating the masses about the distinctions between cachaça and rum. The campaign also lobbied the United States Alcohol and Tobacco Tax and Trade Bureau to recognize cachaça as a class or type of distilled spirit under the authority of the Federal Alcohol Administration Act. On February 25, 2013, the U.S. Alcohol Tax and Trade Bureau (TTB) finally “legalized cachaça,” as they published the final rule that recognized Brazil’s national spirit as an official spirit and distinctive product of Brazil. The final rule went into effect on April 11, 2013. Muddle the lime and sugar in a shaker. Fill the shaker with ice and add Cachaça. Shake well and pour (without straining the ice) in a rocks glass. Muddled cocktails are always crafty and delicious because the technique is associated with a fresh ingredient. 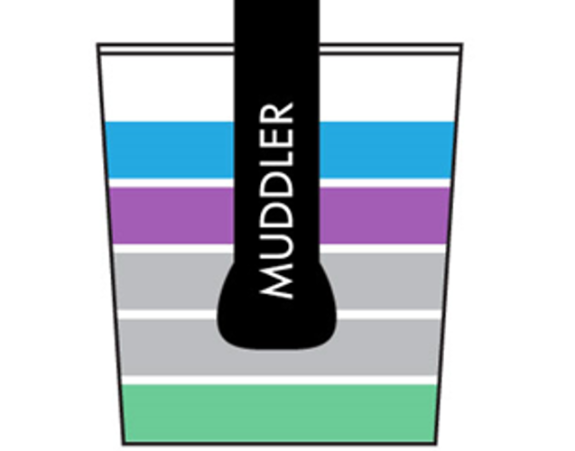 The muddler is an essential bar tool that is like a pestle. It is used to mash fruits, herbs, spices in cocktails (aka muddling). 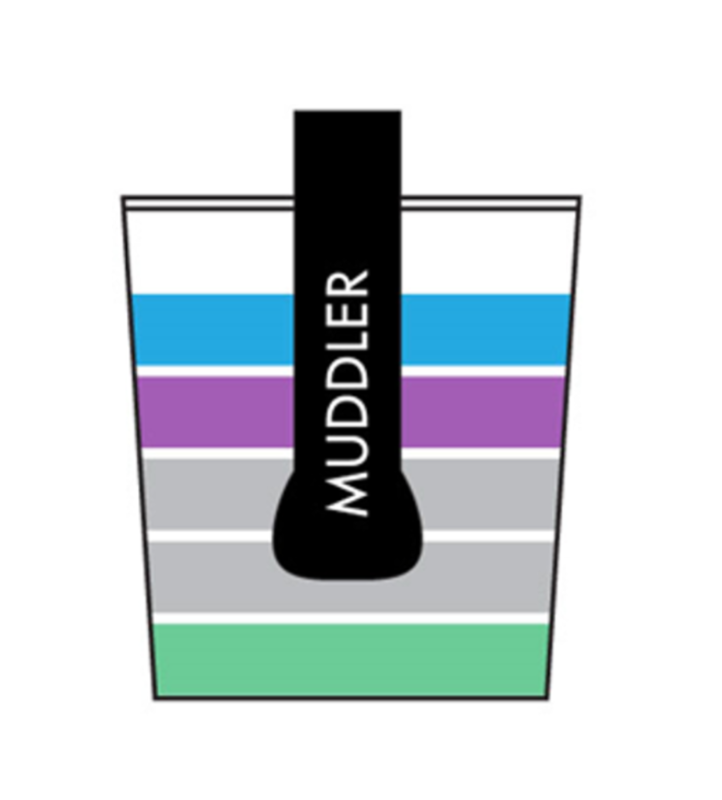 Muddling is not too challenging but there is a small learning curve because different ingredients require different techniques. 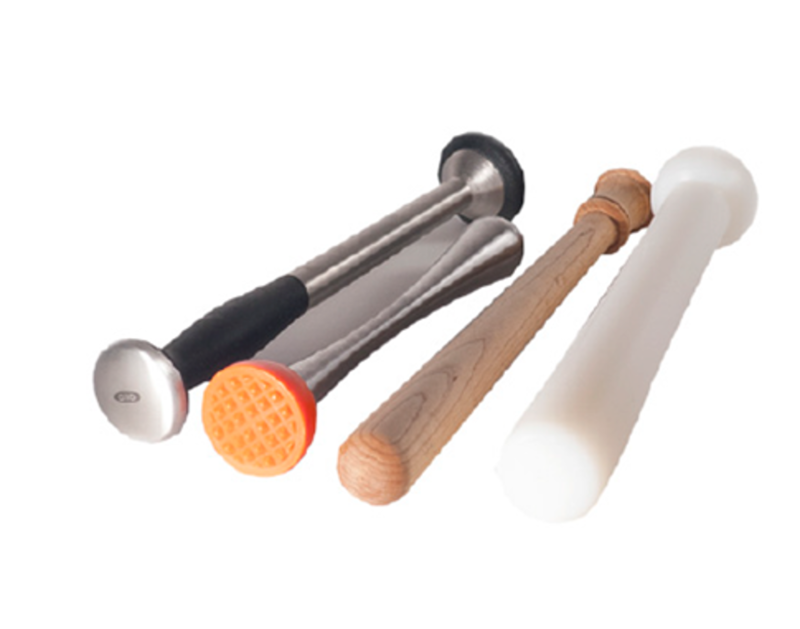 Muddling is simple when you’re dealing with soft fruits such as berries, but when you are dealing with harder ingredients such as non-ripe citrus fruits you are need to put more elbow-grease and perhaps use a muddler with a grooved pestle such as the orange one in the picture. In the case of very delicate herbs, such as mint, you need to be very gentle so that you don’t break the mint leaf while you’re pressing it so that you don’t release a nasty bitter flavor into your cocktail.